My wife and I took a day off from the gym, pool and bike last Saturday. We decided we needed a day to relax after six straight workout days. 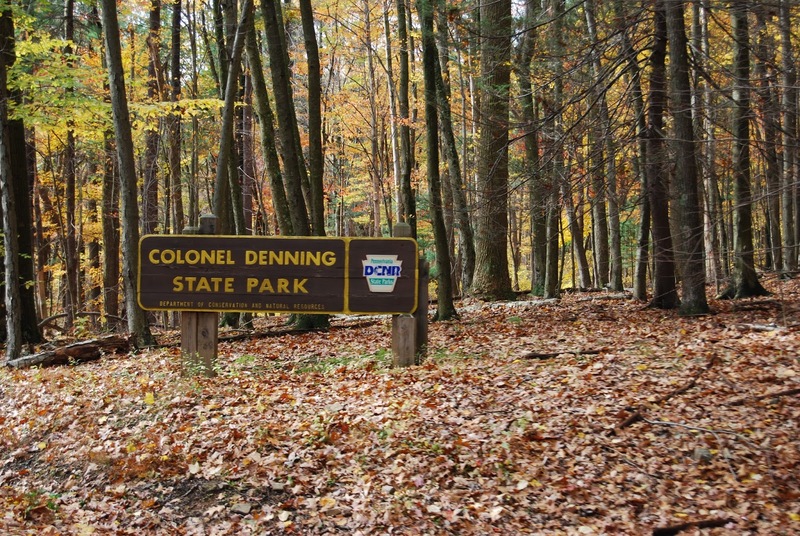 Around midday, I suggested we take a drive out to Colonel Denning State Park and check out a trail I had heard about. It was a beautiful day; sunny and mid 60s, perfect for little walk in the woods. We found the trail and within the first 100 yards ascended an earthen stairway that is easily a 30-degree grade. There are stretches of the 2.3-mile trail that are flat, but I’d guess the average grade is easily 10 to 12 degrees, which simply means that for every 100 linear feet, you are gaining 10 to 12 feet in elevation. All that to say this; Flat Rock Trail is a challenging hike. But, the pay off at the top is worth every bit of the effort. I had been told the view was spectacular, but I was not prepared for just how beautiful. The trees up and down the valley are beginning to change color, so the timing was perfect. I had taken my binoculars along so we could identify some landmarks. I was shocked at what I saw. With a fairly inexpensive pair of binoculars we could clearly see the Capitol dome and all of the taller downtown Harrisburg buildings. There were several, probably a dozen or more, people who came and went while we were there and several of them wanted to borrow the binoculars. I’m not sure they believed me when I said I could see the Capitol dome. I’m not sure of the sight distance, but the driving distance on the most direct route is 32.7 miles. Looking South, there is one peak that towers above the rest. It appears to be just southeast of Scotland where Stillhouse Road and Ridge Road meet. If that is correct, the sightline would be in the 50- to 60-mile range. Needless to say, by the time we hiked down, we didn’t feel like we had taken the day off from working out, but we felt invigorated and energized nonetheless. Being awed by the beauty of God’s creation can do that for you. Gary is the publisher of The Sentinel. Reach him at gadkisson@cumberlink.com.